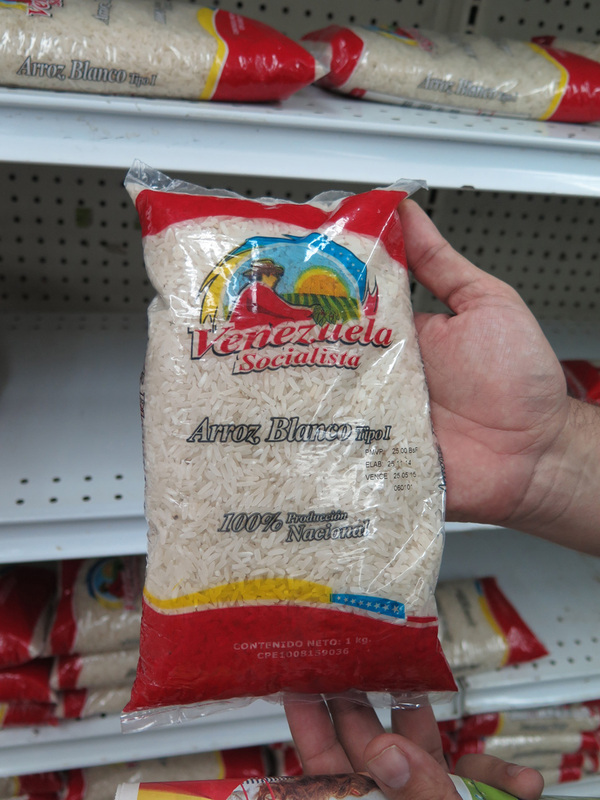 Socialist Rice! From state-run farms to a state-run supermarket. We next visited a government supermarket, selling mostly price-controlled goods. The state runs nationalized farms, distribution systems and supermarkets, giving it complete control of the supply chain. The supermarket had an oddly limited range of goods and the long ranks of shelves were often stocked with long ranks of identical packages. Some of these were basic staples from government controlled farms, but there were also things like Pepsi, or Del Monte canned vegetables, or other imported brands. 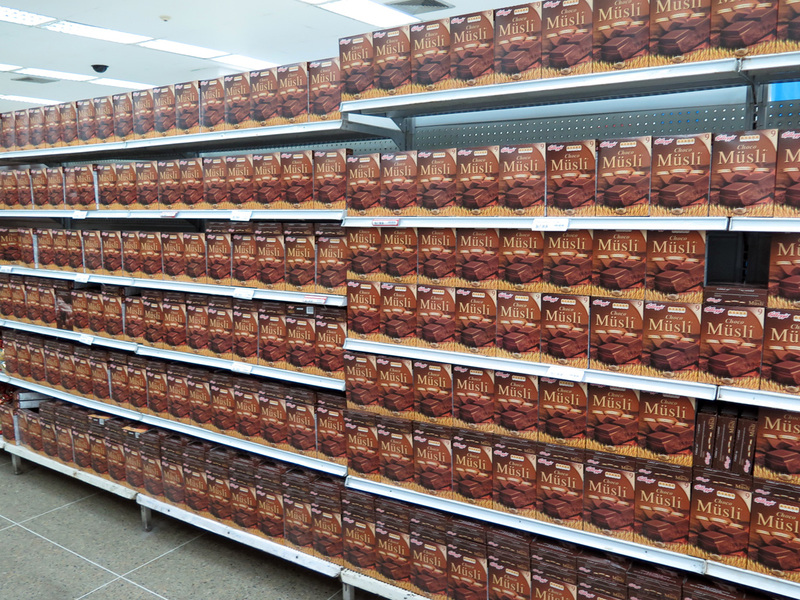 There were the same gaps for milk/cheese/flour/etc as in the private supermarket. Venezuela has vast oil reserves and should be a wealthy country. But even beyond the supermarkets, Caracas felt subdued and even shabby, with even the supposedly high-end malls in the Las Mercedes district looking tired and surprisingly quiet just before Christmas. The government has several different official rates, starting at 7 Bolivars to the dollar and running up to 96:1. The black market rate is around 180:1. The government allows imports at these different rates depending on the perceived priority of the use. Medicine and food get the best rates. The supermarkets are allowed to obtain some foreign currency for food at the lowest official rate, meaning they can offer a supply of imported goods at low prices. But the rules are of course arcane and there is much scope for corruption. Gas in Caracas costs 0.9 Bolivars per liter. So it’s dirt cheap. Prices have not been allowed to rise since the 1990s, partly as the last attempt to remove subsidies had been the final straw that had provoked widespread popular unrest in 1989.